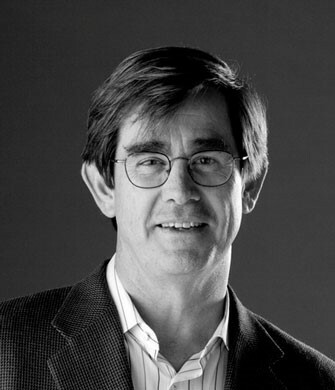 Through my involvement in the pan-European Open Innovation Network project (OI-Net) and my participation in the December 2016 Third World Open Innovation Conference, I had the opportunity to meet with Professor Henry Chesbrough, one of the leading contemporary scholars in the innovation field and the founder of the Open Innovation paradigm. After a brief introduction to Open Innovation, Professor Chesbrough shares his insights exclusively for this inaugural issue of iMBA SCOPE, the newsletter of the MBA International Program. During the last decade, the focus in innovation studies and practice has shifted from the product/service to the business model, i.e., to the elements surrounding the core offer of innovating companies. In this context, Open Innovation (OI) has emerged as an umbrella concept (Huizingh, 2011) for various forms of collaborative innovation activities. OI can encompass a wide range of forms and degrees of openness in the innovation process (Laursen & Salter, 2006). 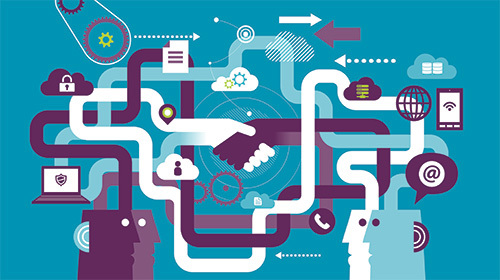 Companies can engage in outbound Open Innovation by either revealing or selling ideas, knowledge or technologies, in inbound Open Innovation by either sourcing or acquiring such innovation assets from outside (Dahlander & Gann, 2010), or in both by coupling external knowledge sources and outbound commercialization activities (Chesbrough & Bogers, 2014). Selling and acquiring are pecuniary forms of OI, while, revealing and sourcing are non-pecuniary (Dahlander & Gann, 2010). Synthesizing the above, OI conceptualizes innovation as taking place within systems of companies and other relevant actors who exchange knowledge and co-develop products and services in loosely coupled networks where business models are dynamically created, reshaped, dissolved and recreated. This implies that adoption of OI and transformation of innovation processes towards more openness are to a large extent a cultural challenge (Huston & Sakkab, 2006) where new knowledge, skills and abilities on the part of the workforce are required (e.g., Petraite et al, 2016). The starting point for Open Innovation, often referred to by Henry Chesbrough to explain the need for a change in mindset, is that “not all the smart people work for us”. So, as he explains, the cultural challenge lies in embracing this fact, rather than seeing it as a threat, and in finding and collaborating with other smart people outside the focal organization. In the interview that follows, my questions to Professor Chesbrough concern the specificities of Open Innovation in comparison to collaborative innovation, risks related to OI, and how OI can be beneficial in the difficult context of the Greek crisis. Some people might be slightly confused about what differs Open Innovation from collaborative innovation. Can you clarify how OI contributes differently to innovation performance and competitive advantage compared to more ‘traditional’ collaborative innovation? There are lots of uses of “Open Innovation”, like the Eskimos have many words for snow. The best definition I work with is that Open Innovation is a distributed process involving inflows and outflows of knowledge from organizations for both monetary and non-monetary reasons, according to their business models. So it includes open source, like in open source software, but is not restricted to that. It includes crowdsourcing, but involves more actors than just the crowd. And there is a business model dimension to it, which is what determines what knowledge to seek from the outside, and what knowledge to share with the outside of the organization. Traditional collaboration might have been concerned with two parties; open innovation includes ecosystems, complementors, crowds, and many more actors beyond a dyadic collaboration. At least when observed from a certain distance, OI seems to be about ‘divulging’ ideas to others, both in the outside-in and inside-out modes. Isn’t Open Innovation a risky avenue to pursue? Yes, there are risks to using Open Innovation. And there may be cases where the best course of action is not to share. But I suspect that, for most companies, being more open is a better approach. For small companies, if you never share, you might never gain any attention and you might be condemned to obscurity. For large companies, if you never share, you reduce your ability to attract others who can enhance your offering and make it more compelling. And for all companies, there are relatively few cases where what you have is so superior to what others might develop that the world will wait for you. Far more often, if you don’t share, the world will simply pass you by and go with those organizations that did share. So when into or planning for sharing, what must companies do, especially those smaller ones that share their innovations with larger ones, in order to reduce and mitigate potential risks? The easiest thing to do is to have a public version of your offering, and a more private version. You can share the public version with everyone, while restricting the private version to a few select conversations where you have qualified the prospect, and judge that the reward is worth the risk. A related thing to do is to partition your offering into a public, open element and a more private, complementary element. The more that the public element is distributed, the greater the demand for the complementary element. And the third thing to do is to analyze the business model of the larger company carefully. Choose the company that has a business model that succeeds if you succeed, and avoid the company whose business model requires stealing from you in order to succeed. Allow me to provide a short example from my own business experience from the 1980s. I worked in a hard disk drive company, Quantum, that decided to partner with a Japanese organization to manufacture our disk drives. We narrowed our selection to two companies: Kyocera and Matsushita (today Panasonic). Both were quite skilled in manufacturing. But Kyocera sold mostly under its own name, while Matshushita had long-standing OEM manufacturing relationships with many of its customers. Its business model was clearly a better fit for us, whereas Kyocera’s model was to use us to learn the business, and then launch their own disk drives. Greece is an economy dominated by service industry. What advice would you give to managers that aim at developing open service innovation? I wrote a book in 2011 called Open Services Innovation [author’s note: see publication list below] that is all about innovation in services. Openness in services can leverage both economies of scope (one-stop shopping for customers) and/or economies of scale (particularly for back-end processing of transactions). The key is to have a flexible front end facing the customer, connected to a scalable back end that can provide high quality in volume, and becomes cheaper in volume. Some of your recent research has involved OI and institutions. With instability in the political, legal and tax systems, which has intensified dramatically with the Greek crisis and the three consecutive bailout packages, the Greek institutional context has become increasingly unfavorable to business activity. What advice would you give to managers who need to innovate in this context, characterized also by shrinking local markets? Greece is in a tough position, and I clearly need to spend more time on its beaches, its islands, and its wonderful streets to study this problem carefully! At the risk of sounding like an out-of-touch scholar from California, my advice would be to start with your best customers, and figure out what their biggest problems are. Then work with them to define a business model that allows you both to grow profitably, perhaps by you doing more for your customer. Knowing your customers very well is a great defense against the large, more impersonal entrants in the market. But you must be willing to improve your own operations, reduce their errors, reduce their costs, and increase their value to your customers. Finally, what advice would you give policy makers in order to create better conditions for innovation in the Greek context of resource scarcity? One piece of advice is to develop a strong domestic knowledge base for today’s digital economy. Support research in higher education, and provide grants for scholars outside Greece to come study, and similarly support Greek scholars to study outside Greece. In Greece today, more knowledge is moving to digital platforms. Give everyone access to good wifi and internet, and put the government’s own accounts on the web. Utilize lower tax rates with higher transparency for economic activity, combined with an amnesty for owed backtaxes, would help get most of the Greek economy into the formal sector, away from the informal sector. Henry, many thanks for taking time to answer to my questions, it is deeply appreciated and our newsletter could not get a better start! Eric, thanks for the chance to dialogue with you on this. Chesbrough, H. and Bogers M. (2014), “Explicating Open Innovation: Clarifying an Emerging Paradigm for Understanding Innovation”, in Chesbrough, H., Vanhaverbeke, W. and West, J. (eds. ), New Frontiers in Open Innovation, Oxford: Oxford University Press: 3-28. Dahlander, L. and Gann, D.M. (2010), “How open is innovation?”, Research Policy, 39(6): 699-709. Huizingh, E.K.R.E., (2011), “Open innovation: State of the art and future perspectives”, Technovation, 31(1): 2-9. Huston, L. and Sakkab, N. (2006), “Connect and Develop: Inside Procter & Gamble’s New Model for Innovation”, Harvard Business Review, March: 58-66. Laursen K., and Salter, A. (2006), “Open for innovation: the role of openness in explaining innovation performance among U.K. manufacturing firms”, Strategic Management Journal, 27(2): 131-150. Petraite, M., Podmetina, D. and Soderquist, K.E. (2016), “Designing and Developing Organizational Competence for Open Innovation”, EURAM Conference 2016, 1-4/06/2016, Paris, France. “The Dynamics of Open Strategy: From Adoption to Reversion”, with Melissa M. Appleyard. Long Range Planning, in press. “Open Innovation: The Next Decade”, with Joel West, Ammon Salter and Wim Vanhaverbeke. Research Policy, 43(5), 2014: 805-811. Open Services Innovation: Rethinking Your Business to Grow and Compete in a New Era. Jossey-Bass, 2011. “How Open Innovation Can Help You Cope in Lean Times”, with A.R. Garman, Harvard Business Review, December, 2009: 68-76. “Understanding the Advantages of Open Innovation Practices in Corporate Venturing in Terms of Real Options,” with Wim Vanhaverbeke and Vareska Van de Vrande. Creativity and Innovation Management, 17(4), 2008: 251-258. Open Business Models: How to Thrive in the New Innovation Landscape. Harvard Business School Press, 2006.